Leading Manufacturer of hotels & resorts etp, etp for textiles & garments, etp for hospitals and etp for food industry from Noida. We provide effluent treatment plant ETP for Hotels/ Resorts at very competative rates. 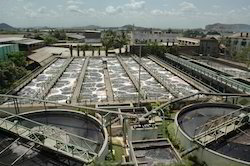 We provide ETP for Textiles/Garments also known as effluent treatment plant..
We provide ETP for Hospitals also known as Effluent Treatment Plants.